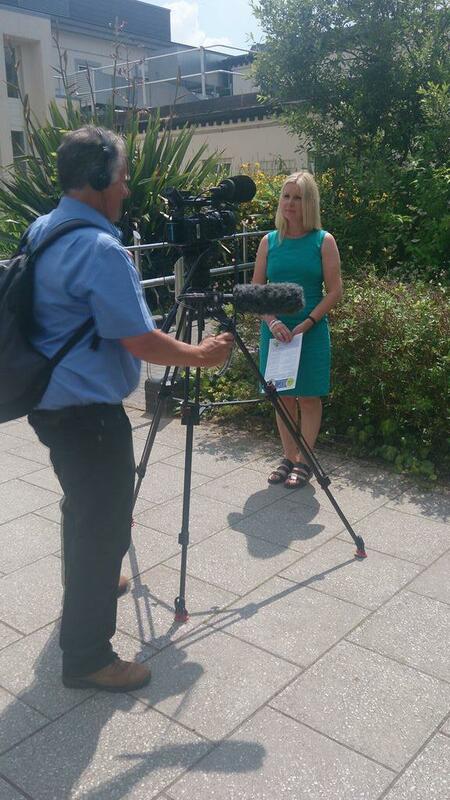 The chief executive of Sarcoma UK, Lindsey Bennister, is interviewed on TV to start off Sarcoma Awareness Week which runs from today until Saturday. support group. The article is timely as this is “Sarcoma Awareness Week”. Now that July's edition of Dorset Magazine is in the shops, June's edition is available in the archives at Dorset Magazine. You will need Flash and the article starts on page 92. Only one in four of sarcoma referrals are to a specialist centre. Sarcoma patients wait on average 1½ years for referral. 100% of people diagnosed with sarcoma will be treated under the care of a sarcoma multi-disciplinary team (compared to only 60% in 2013) (page 19). 80% of people with suspected sarcoma will be referred to hospital for further investigations on their first or second visit to their GP (compared to 2013 where one third of sarcoma patients visit their GP three times or more before referral) (page 15).